Whenever I make stuffed zucchini, I keep the cored insides to cook them as I did in this post, or to prepare an omelette like were going to do today. The zucchini gives the omelette a very nice flavor that my family just loves. 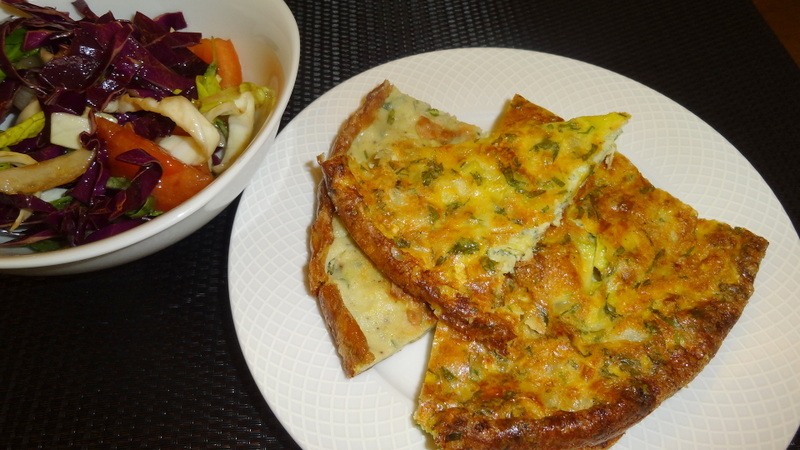 I often make omelettes so this is a nice addition with the zucchini – thanks! Welcome dear, I am glad you like it. Another culinary wonder! How beautiful these omelettes are. I can just taste the beautiful sweetness of the zucchini in the delicate eggs! What a lovely way to describe this dish.! Thank you for your sweet words. marhaba,,,your ijjeh always looks so delicious!!! ..do u use green onion or yellow?